Labor’s announced commitment of $20 million in additional funding to the United Nations Relief and Works Agency for Palestine Refugees (UNRWA) specifically ignores the concerns that have been ventilated over funding to that body. Liberal Tasmanian Senator Eric Abetz has commented that at the last round of Senate Estimates, DFAT officials confirmed that UNRWA-funded textbooks in the Palestinian Territories contain “controversial” content and that the Australian Government, along with the UK Government, are conducting a review of the issue. 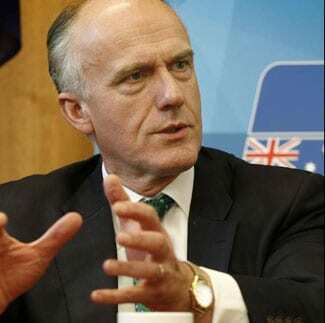 “Given the very clear evidence that has been provided that there are concerns over the money Australia is already providing UNRWA, it is troubling that Labor would pledge even more money without waiting to see the outcome of any review,” Senator Abetz said. “The fact that Labor is willing to turn a blind eye to this kind of conduct with Australian taxpayers’ money and, to date, has not uttered a word about the ongoing investigation into APHEDA’s potential channelling of money to Hamas terrorists, gives a troubling insight into what little oversight a Labor Government would have of aid spending,” Senator Abetz added. The ALP doesn’t care what the money is used for. The late Labor Minister, Barry Cohen, said that it has become an antisemitic party. Jew-hatred these days comes from Islam (it’s in their Koran) and from the Left. (Those who still believe that the Nazis were from the “Right” do not know the history of Socialism…National-Socialism or any other form of Socialism). So, it’s only to be expected that the Left will finance the deadliest enemies of the Jews and their facilitators in this case UNRWA.